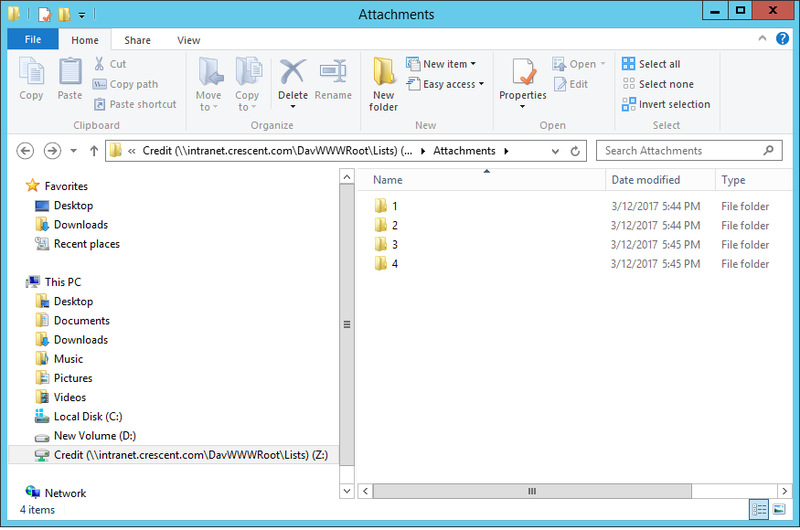 How to download attachments from SharePoint List Items? Go to Windows Explorer (Windows Key + E), Right click on "This PC" from left tree view and choose "Map Network Drive"
This opens Windows explorer view with attachments folder. Attachments are organized with sub-folders under attachment folder. Your list item id become the name of the sub-folder! from here, you can download all attachments by simply copy-pasting to your local machine. Lets download SharePoint list item attachment programmatically from a particular list item. write-host  -f Green "Total List Attachments Downloaded : $($AttachmentsColl.count)"
Here is the PowerShell to download SharePoint Online list attachments from all items. write-host  -f Green "List Attachments Downloaded Successfully!" Can i change id to another filed here ? ?